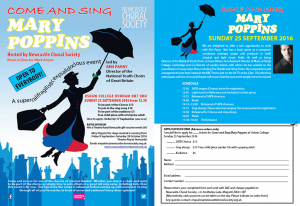 Come and Sing Mary Poppins ! On Sunday 25 September 2016 we had an exciting day, in the lovely setting of Ushaw College, learning songs from Mary Poppins. 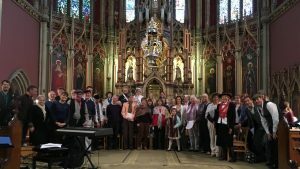 The event was led by Ben Parry, Director of the National Youth Choirs of Great Britain, and was “supercalifragilisticexpialidocious”! 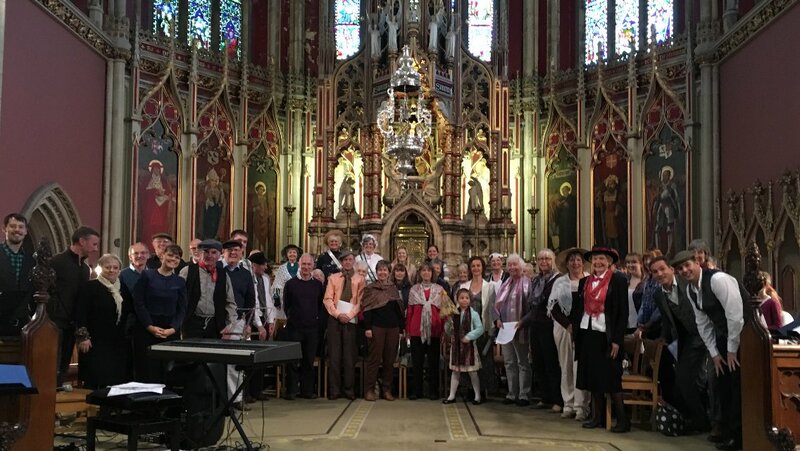 The day was open to anybody who wanted to be part of the chorus, join others in a good old sing-song (including kids), or be part of the audience when we gave a performance at the end of the day. Fancy dress was optional, but many people felt this added to the spirit of the day! This Sunday was the 2nd day of a special weekend for us. We had a choral workshop on the Saturday, working on pieces by Schubert and Bach, to improve vocal techniques. We enjoyed a lovely meal in the evening, with a cappella group Quintessential Voices providing us with superb entertainment. 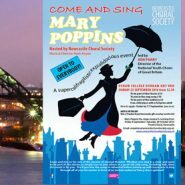 Particular thanks are due to three of the group for a special time this weekend – MD Mark Anyan, our ‘in house’ singing teacher Jim Morgan (not many choirs have one of them included as part of subscriptions) and Elizabeth Woods, our wonderful Mary Poppins. Fantastic!